This September, The Proud Trust, a Manchester-based LGBT+ youth charity and its regional network partners, is launching LGBT+ Youth Sport Month with the support of GreaterSport, to empower young LGBT+ people to get out and try new athletic activities and put an end to the disproportion of those involved in sport across the North West. “We know that only 24% of LGBT+ young people play a school sport, compared to 68% of non-LGBT+ young people – this percentage is even lower for trans and non-binary youth,” said Sally Carr MBE, Operational Director at The Proud Trust. LGBT+ Youth Sport Month aims to get LGBT+ young people involved in sports and challenge the attitudes that kept them from taking part in the first place. Events such as swimming, parkour, paddle boarding, 5k runs and adventure sports like high ropes challenges will be just some of the activities taking place across the month. Sally continued: “Sport is such a huge part of life and we need to make sure that LGBT (+) young people across the North West are getting involved and improving their wellbeing. All these events are also a chance to meet new people, engage with peers and feel confident and happy about playing sports, even if they never did before. 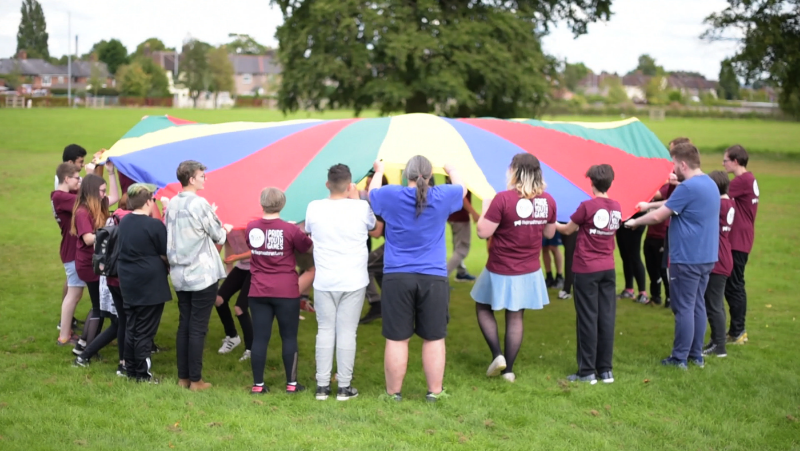 All events and planned activities can be found at: (https://www.theproudtrust.org/for-young-people/whats-on/september-sports/) and are free to take part. The charity is encouraging all young LGBT+ people (aged 12-25) from all walks of life to take part. A Galaxy of Culinary Stars Launched The Chefs’ Forum in Manchester!